Studio E/Motions is one of the leading design firms around the world. Their core focus is head of state aircrafts. 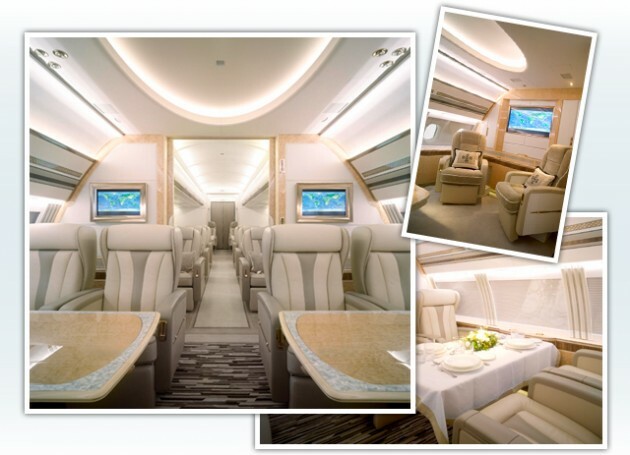 Francis Munch of Studio E/Motions used a wide range of Townsend Leathers Taj Pearlized products for this VIP aircraft. Francis works closely with the owners and learns the style décor that they are accustomed to living in. These wide body aircrafts are essentially flying homes and are an extension of the owner’s lifestyle. AMAC aerospace is the leading producer of custom designs for private aviation. The entire team from engineering to interiors brings to life the concepts of these designs.